Thanks to recommendations from members of staff and requests via RAB from students the Library is continually adding new books to its collections both online and in print. Here are just a (very) small number of the books that have been added to the Library’s collections in semester one, 2017/18 for the School of History, Classics and Archaeology and these demonstrate the wide range of subjects being taught, studied and researched within School. Early Greek portraiture: monuments and histories by Catherine M. Keesling (shelfmark: NB1296.3 Kee. Also available as e-book). The crusade in the fifteenth century: converging and competing cultures edited by Norman Housley (e-book). 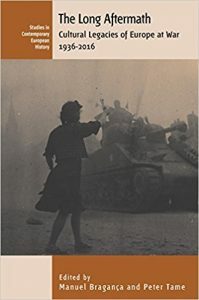 The long aftermath: cultural legacies of Europe at war, 1936-2016 edited by Manuel Braganca and Peter Tame (shelfmark: D744.7.E8 Lon. Also available as e-book). Tabloid century: the popular press in Britain, 1896 to the present by Adrian Bingham and Martin Conboy (e-book). 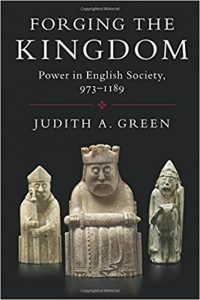 Forging the kingdom: power in English society, 973-1189 by Judith A. Green (shelfmark: DA130 Gre. Also available as e-book). Messengers of the Right: conservative media and the transformation of American politics by Nicole Hemmer (e-book). Fragments of empire: capital, slavery, and Indian indentured labor migration in the British Caribbean by Madhavi Kale (shelfmark: HD4875.C27 Kal. Also available as e-book). British foreign policy during the Curzon period, 1919-24 by G.H. Bennett (shelfmark: DA578 Ben. Also available as e-book). The heroic rulers of archaic and classical Greece by Lynette Mitchell (e-book). 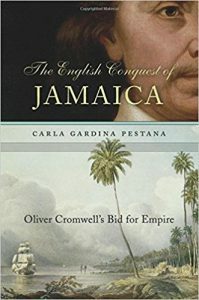 The English conquest of Jamaica: Oliver Cromwell’s bid for empire by Carla Gardina Pestana (shelfmark: DA425 Pes. Also available as e-book). Byzantine culture in translation edited by Amelia Brown and Bronwen Neil (e-book). Secret cures of slaves : people, plants, and medicine in the eighteenth-century Atlantic world by Londa Schiebinger (shelfmark: R853.H8 Sch. Also available as e-book). For the Motherland! For Stalin! : a Red Army officer’s memoir of the Eastern Front by Boris Bogachev ; translated by Maria Bogacheva (e-book). UK monetary policy from devaluation to Thatcher, 1967-82 by Duncan Needham (e-book). Women in the military orders of the crusades by Myra Miranda Bom (shelfmark: CR4725 Bom. Also available as e-book). You can find all of these books and the many more that are available for supporting teaching, learning and research in History, Classics and Archaeology via DiscoverEd. E-books are only available to current students and staff at the University of Edinburgh. 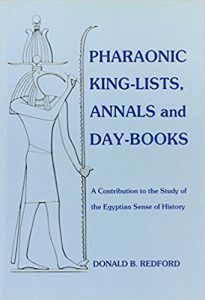 This entry was posted in Books, Library, New and tagged Ancient history, Archaeology, Britain, Classics, cultural history, E-books, Egyptology, Europe, Greek, History, India, International Relations, Medieval, Politics, social history, United States by cstirling. Bookmark the permalink.